The primary function of a Coolant is to effectively remove heat generated from the combustion of fuel in the engine block. Coolant provides corrosion protection to engine components, freeze protection when subject to sub zero temperature, boil protection, heat transfer to the passenger compartment of vehicles, lubrication to the water pump and general chemical and oxidative stability to ensure efficient functioning of the cooling system. 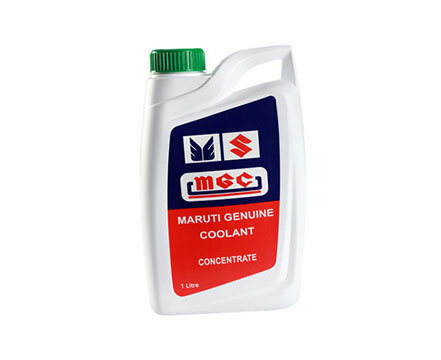 Maruti Genuine coolant is a new generation long life antifreeze coolant. Provides effective cooling medium for maximum boiling and freezing protection. Improves efficiency of heat transfer. Provides superior chemical stability for longer service life. Protects against wide range of corrosion problems.